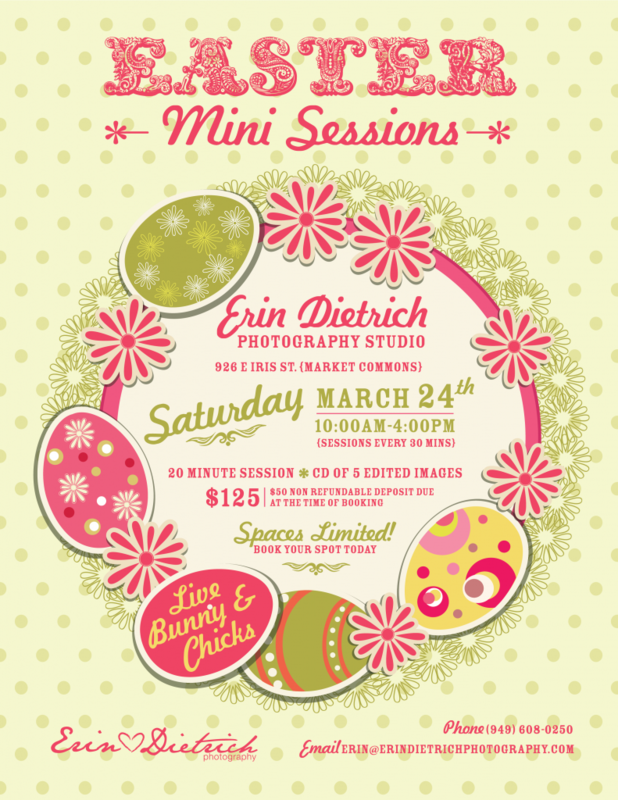 I am so excited for the Easter Mini Sessions this Saturday! They will be at my studio located in Market Common. All the colors, the candy and it’s Spring time! I am going to have a live bunny and chicks to take pictures with the children! the bunny or the children? Stay tuned for some super cute sneak peaks!